Erin Entrada Kelly grew up in south Louisiana and now lives in Philadelphia, Pennsylvania. Erin's mother was the first in her family to immigrate to the United States from the Philippines. This is Erin Entrada Kelly's first book. This book was great. It was sweet and about friendship. 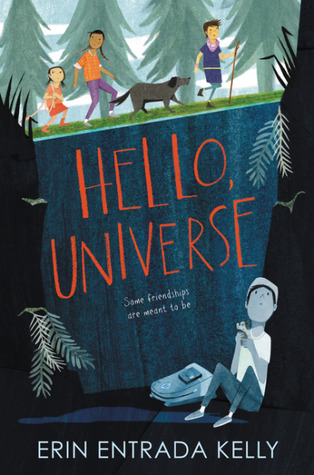 I really liked this one and I don't like many middle grade stories anymore. This one would be great for schools since it was also about standing up for yourself as well as for those around you. Which is great for everyone and this should be one that schools should get in the hands of their students. This is a book for all friendships! I really liked reading about the characters who were diverse and wonderful. The story was well paced and had a positive story that I couldn't put down.